Editor’s note: This is the sixth installment of Sanctuary City, a fictional apocalyptic serial that appears regularly in Ecolocalizer. Read the previous chapter here. 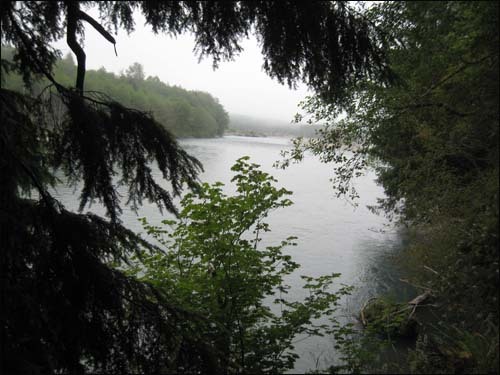 The sun’s rays were beginning to break through the river mist as Haskal finished digging his way to the edge of Beaver, Washington. 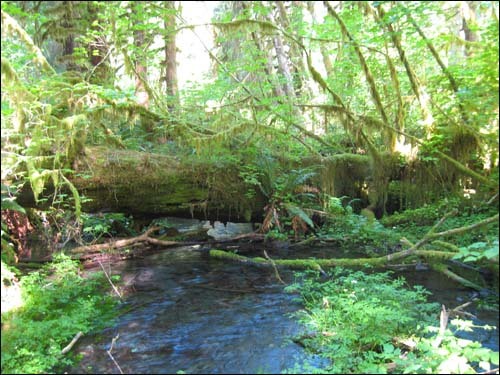 For several days he had traversed the moss-draped rain forests, and even floated for part of his journey on a broken branch, as it drifted for miles down the waters of the Sol Duc River. Haskal’s thick moist pelt shivered in anticipation when he finally entered the perimeter of the village. 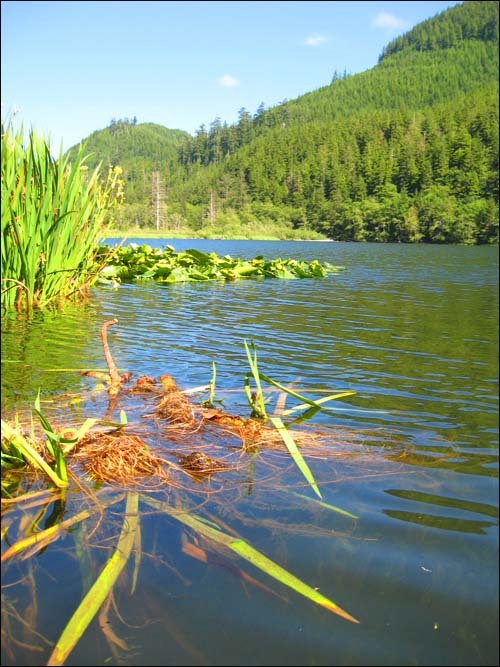 Haskal was in search of his partner, Klaus, who lived in a communal dam on Beaver Lake, in the Olympic Peninsula. Haskal’s kind were coypu, (Myocastor coypus), of the Myocastoridae family, cousins of the beaver clan. Generally the beaver and coypu (also known as nutria) were distantly polite, but not often overtly social with one another. Klaus and Haskal however, were quite fond of each other, and had been coupled together in a non-monogamous relationship for many seasons. Both of the rodents shared many similar passions, but also had separate adventures, and lived autonomously for many months of the year. None of the beaver clan cared at all that Klaus was transgendered and queer; but there were some who deemed inter-species partnering to be inferior, derogatorily referring to the coypu as immigrant “worm tails”. There were also a few extremist members of the beaver clan who were harshly intolerant of all the coypu, viewing them as destructive over-breeding rat-tailed non-native invasive interlopers who should all return to South America. 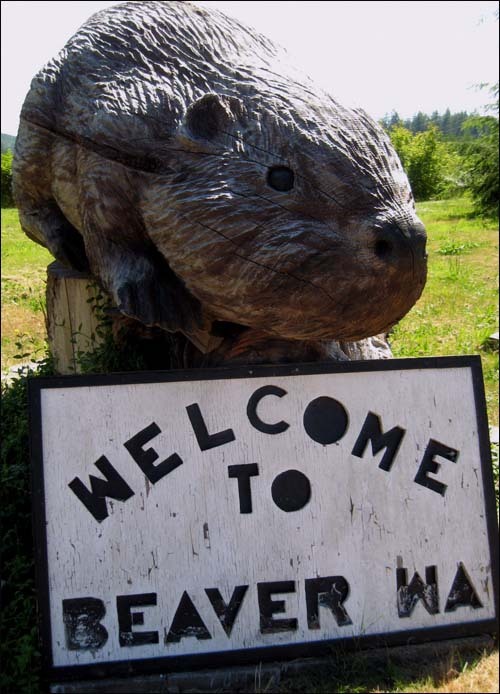 In the region the immigration debates often became heated and ugly, with some beavers calling for all the coypu to be immediately deported, or even murdered. However, most of the clan did not feel this way, and believed that the destructive humans (Homo sapiens) were the real threat, not their own coypu cousins. Haskal did not trouble himself much with the opinions of others, and tried to steer clear of petty inter-clan sniping as much as possible, as well as avoiding all contact with humans. Focus on the positive and don’t let old baggage drag you back into the sad barren dark places. After climbing down through the woods to the water’s edge, Haskal found the beaver den was abandoned when he finally reached it. No sign of Klaus or anyone else, just a few half gnawed-on water lilies and uprooted plants lay scattered adrift near the edge of the clear lake. The perplexed furry mammal scratched his hairy chin for a few moments and clawed at the moist earth, while he pondered the various possibilities. With a sudden flash of realization, he quickly scurried back into the dense forest. 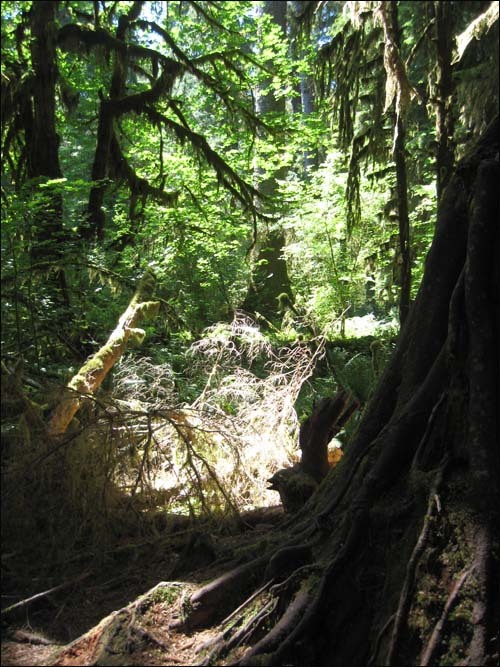 As a moist warm breeze slowly drifted through the trees, Haskal crawled over enormous gnarled roots, climbed up a massive rotting cedar and began repeatedly sniffing the air, searching for the faint distinct stench of humans.